YOU WILL NEED TO BE TOTALLY SELF SUFFICIENT DURING YOUR RACE. EACH TEAM WILL BE RIDING WITH A TRACKING DEVICE WHICH WILL NEED TO BE CHARGED AT THE OVERNIGHT STOPS. You can spread your payments over 3 months! Just email mail@quantumadventures each time you make a payment with your “Name and Surname” as a reference. ENTRIES ARE LIMITED TO 20 RIDERS / 10 X 2 PERSON TEAMS PER START GROUP. START/FINISH: Woodlands Game Reserve. Between Grahamstown and Bedford. game reserves and remote areas you may never have known of before. Comfortable accommodation in the countryside awaits you. Accommodation for 4 nights. Country Hotels and Game Lodges. Any other/additional overnight stops are for your own planning/expenses. Discovering unique places and meeting Eastern Cape Legends – true pioneers! A hand made finishers X Pendoring mounted on a piece of original sneeze wood pole from the area. The X 2014 five-day mountain bike event was hugely popular by the riders and 2015 also promises non-stop adventure from start to finish.The X came about back in September 2013 when I hopped on an overnight bus from Cape Town to Upington. The next morning, when everyone else got off the bus and went about their business, I assembled my bike and started riding. I rode through the remote area of the Great Karroo and across historical places such as Verneukpan, and finished my journey in Matjiesfontein, some 600 km and four days later. During the December 2013 summer break, I decided to do some more scouting, this time riding in a circular route in the Eastern Cape area, where I was born and grew up. The journey to the Great Fish River was an exploration in itself, with awesome exploratory riding and stops along the way in places like Matjiesfontein (outside Calitzdorp, Klein Karoo), Saasveld, the Outeniqua Mountains, and Witteberg Hoek in the Langkloof. I was then joined by my friend, Rob Flashman, and for the next 10 days we explored some of the most remote and hardly used trails, paths, and quiet farm and public dirt roads the region had to offer. 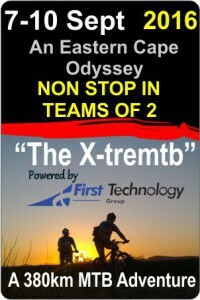 And as we rode, The X, an Eastern Cape odyssey, was born and this is what riders can look forward to. The ride will start and finish at Woodlands Game reserve. The first section is within the reserve, dropping down to the Great Fish River and crossing over on foot. There is no bridge but the water should be shallow enough – about knee deep. Onto a old servitude track with a game farm along the one side and eventually into a slow, windy [but spectacular] climb out the valley via another game farm to the old, historic town of Riebeeck East. This is where Piet Retief lived on the farm “Mooimeisiesfontein” In later years it became an orphanage. It’s well worth riding into the village to see the old stone church and perhaps pick up a cold Stoney at the corner cafe! After a little exploring here, you make your way over the ridges and then the views from the top are infinite as you look South West. You will descend for a long way but making the time to stop along the way to have a good look is worth it. This track is now rarely used by 4×4 vehicles only but perfect for a mtb. You are still inside a game reserve during the descend. The town of Alicedale awaits beyond the New Years Dam and the Bushman Sands lodge will welcome you. Great food and great people! Day two will include some of the 2014 route but 2/3ds of it have changed to include more remote riding and on dual single track Leaving Alicedale after a proper farm styled breakfast, the route then follows the Bushman’s River upstream for a while. Even though this section is open to the public, very few folk use it and places such as Doringkom (Thornbowl) and Boesmans Poort (Bushman’s Gorge) will feature. Here, the Eastern Cape bush is wild and unique, making it a very special experience indeed! Shortly after riding past Doringkom farm the track swings off the small dirt road onto a old jeep track – roughly following the railway line all the way to Sheldon siding. From here, another old track will take riders through to the 1st [optional] overnight stop. Stage 3 (70km and 1350m altitude gain). Somerset East via Wilton Mtb single tracks. After a scrumptious country breakfast, riders will experience one of the most amazing trails in the Eastern Cape, the Boschberg MTB trails. These trails are really well maintained and nurtured by a small group of passionate riders from the area. 20km of exhilarating single track riding later, you will take on a short but stunning climb towards the Patryshoogte Pass and Avondale farm. An old trail drops down into Stolzkloof towards Kommetjies Hoek via Craig Burnie Valley. This section of the ride traverses through two game farms and the riding is simply amazing! Single track and jeep track riding on the edge of a deep ravine, surrounded by plenty of game, various birds of prey and fresh air! Crossing over the Great Fish River will take the exhilarated riders into the Baviaans River valley and Belvedere Game Lodge – the 2nd, optional stop. Leaving Belvedere Game farm on a farm track for 3km before leaving the farm and onto the Baviaans River Conservancy track for another 17km. This next section is totally new – all the way to Woodlands Game reserve. The next 20km to is simply in a different league of riding as you traverse into the remote valleys behind the Bedford [Kagga] Mountain range. A 5km, undulating down hill will give you goose bumbs – guaranteed – just need to watch out for unsuspecting Warthog family groups… The Old Mill Cricket Ground along the way is a must stop/explore. Bangladesh played here once! The history in this valley is remarkable. If you want, ride into the town of Adelaide for a quick refreshment – the farm stall/shop opposite the High School, on the corner has home made pies and fantastic filter coffee! Back track for about a km before tackling the next 40km to Woodlands. This old dirt track is only used by a farmer on occasion. Looking back, you will be able to see where you crossed the mountains behind Bedford – almost 70km away at one point. This last section is remote with plenty game along the way and the last section to Woodlands is a fast but tricky downhill. Hospitality, great food, a big fire and cosy beds awaits. Time for reflection. PLEASE REMEMBER TO REMOVE YOUR MTB SHOES AT ALL THE VENUES BFORE YOU WALK INTO THEM – THE CLEATS DAMAGES THE WOODEN FLOORS! Expect the “blues” after this awesome expedition ride! This experience is one you will remember forever! You are guaranteed to be on a high long after you’ve finished this adventure ride! Narrative, maps and GPS tracks will be provided for each team/group for free download once you’ve entered. 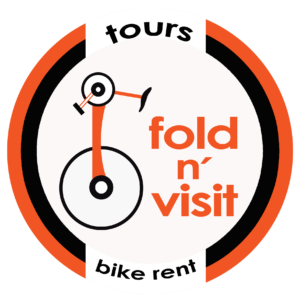 Riders will need to be self sufficient during each day’s riding unless indicated otherwise.